So what’s it really like to drive this thing? Well it’s built like a race car, and feels like a race car. With the engine and gearbox strapped directly onto the carbon fiber tub, you feel every single vibration the F50 has to throw at you. Each combustion event, each mesh of the gears resonates up your spine and through your body. The Integra Type-R feels like a race car? Not even close, this is a whole different ballgame here. Running through the gears up to speed, particularly past 4000 rpms, all that noise and vibration gets amplified tenfold. It’s so violent that the mirrors are completely useless, shaken so hard that everything is just a blur. It’s not a particularly fast car, at our elevation it’s not even close to what the F40 can deliver, but with most of your senses punished by the F50 at speed, it feels blisteringly quick until your brain has a chance to catch up. Make no mistake, as exhilarating as the idea would be, this would be an exhausting car to drive as a daily driver. I suppose it may be bearable if you kept the engine under 3000 rpms, but what’s the point, as the engine isn’t very responsive at such speeds. There is no power steering so, at slow speeds, it’s an immense effort to maneuver the F50 in a parking lot. One has to question the sanity of anyone who even contemplates this car as a daily driver. This is a purpose built racer. Full stop. 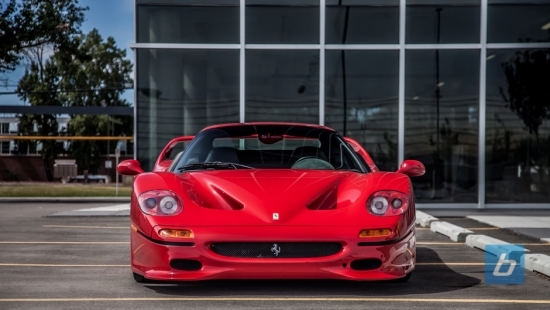 Pushing the F50 a little harder, you are rewarded with a sense of connection that not many road cars can come close to. The throttle response is instantaneous, the crescendo of the engine and exhaust notes up to redline mimics F1 cars of yesteryear, and the car just goes wherever you point it. It’s a surprisingly easy car to drive, everything is fairly predictable through the corners, although I didn’t really push the car too hard as the value of the F50 is just a bit above my pay grade. Oversteer? Couldn’t tell you. Maybe if I get a chance to drive this in a more controlled environment instead of on the street, I would be able to give you a better assessment of what the F50 can truly do in my hands. 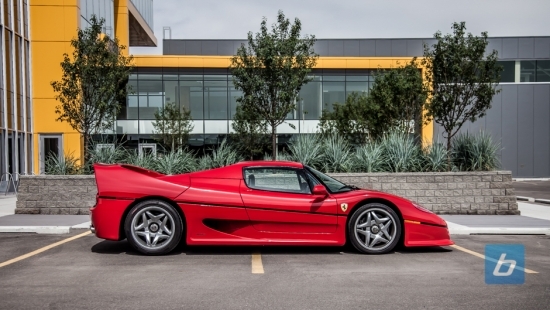 The F50 was the first, and probably last, truly street legal race car out of Maranello. Its successor, the Enzo Ferrari, was faster but a much more docile piece of machinery. With eco-friendly regulations hampering the development of such creatures by any manufacturer, it will be quite some time before we are blessed with a truly fantastic and focused car such as this one. It pains me to say this as a McLaren fan, but I thoroughly enjoyed my day as a tifosi behind the wheel of the Ferrari F50 supercar. Forza Ferrari.